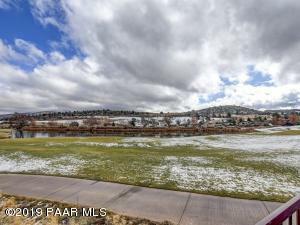 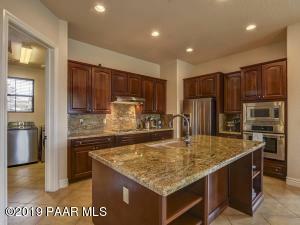 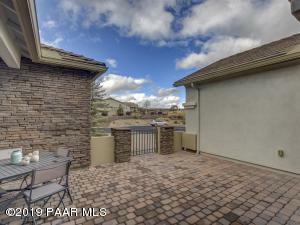 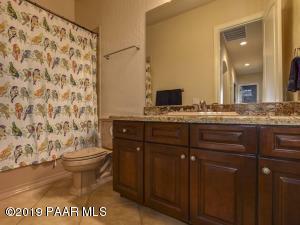 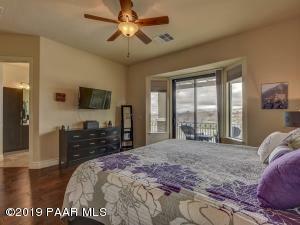 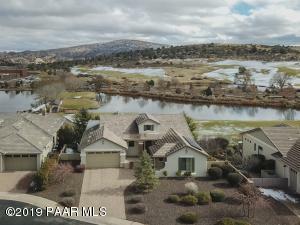 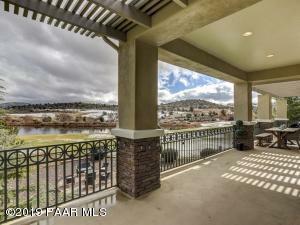 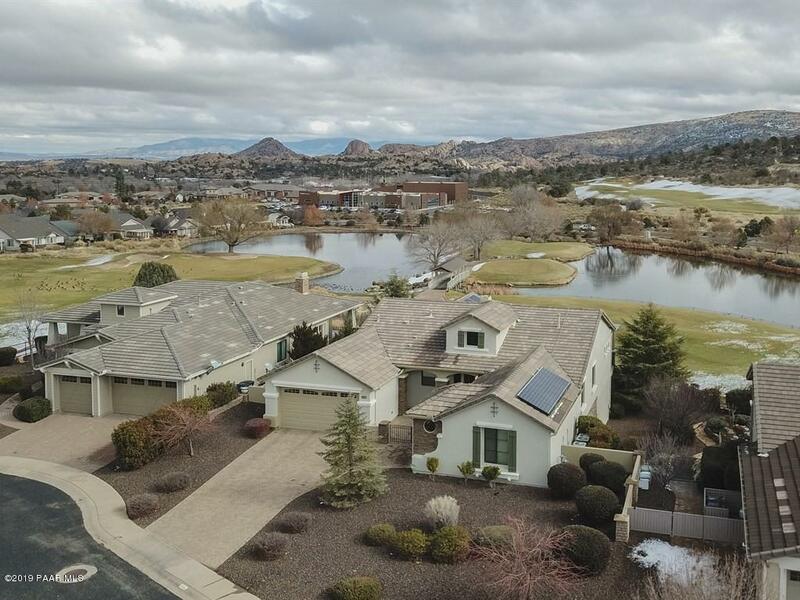 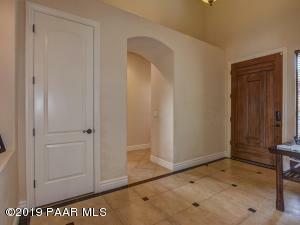 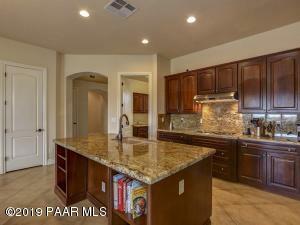 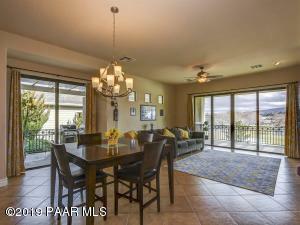 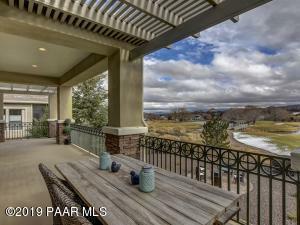 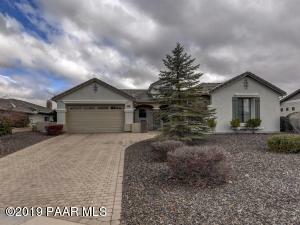 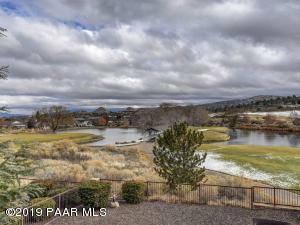 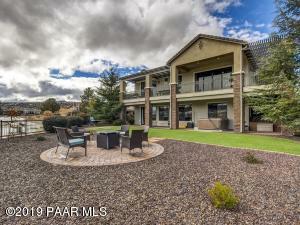 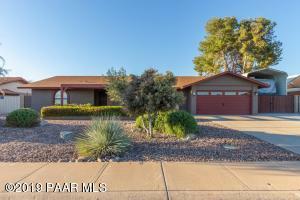 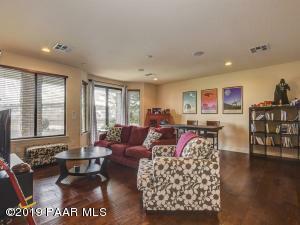 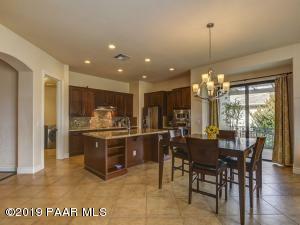 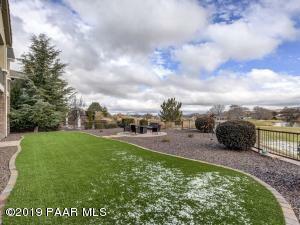 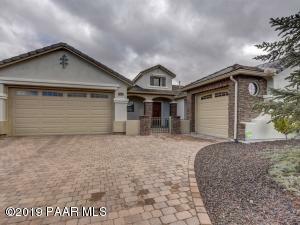 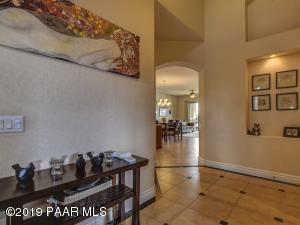 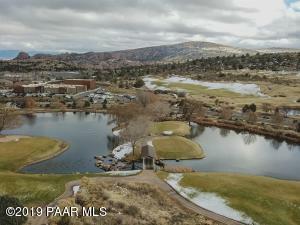 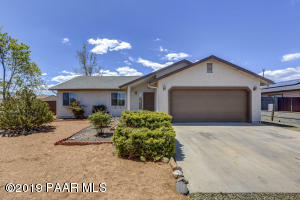 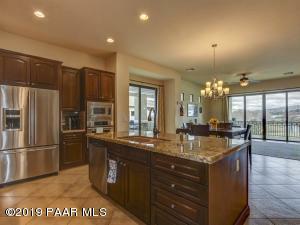 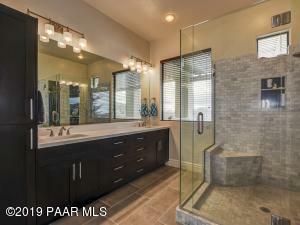 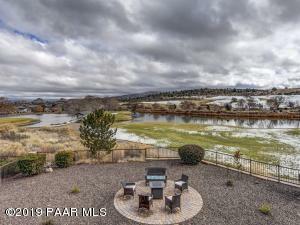 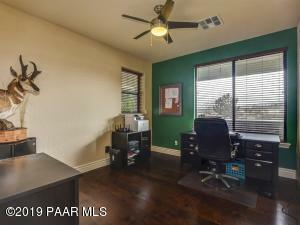 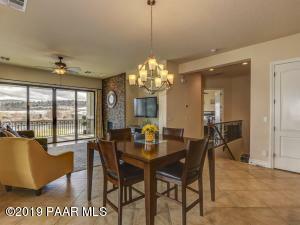 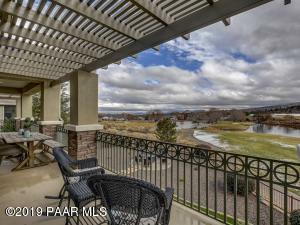 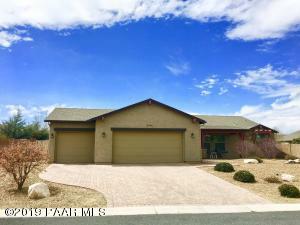 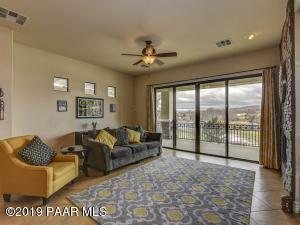 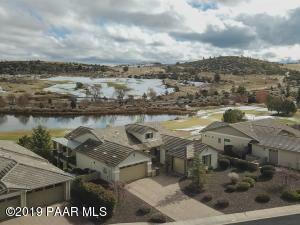 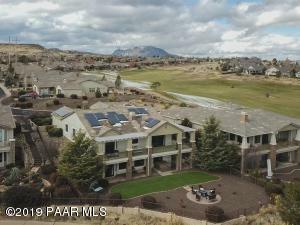 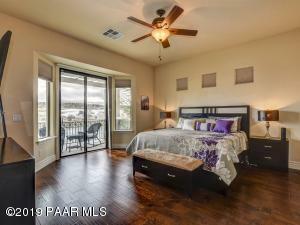 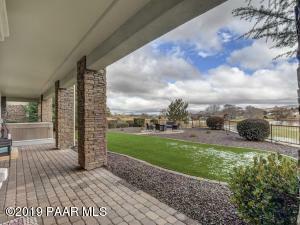 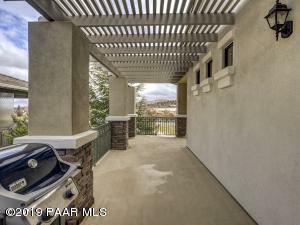 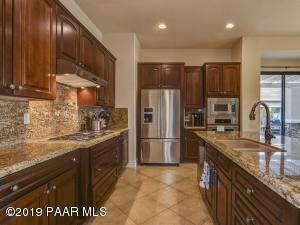 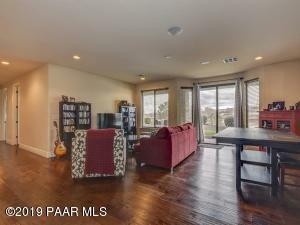 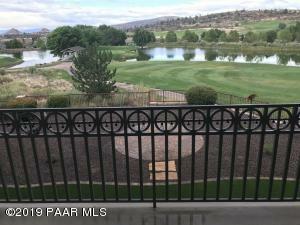 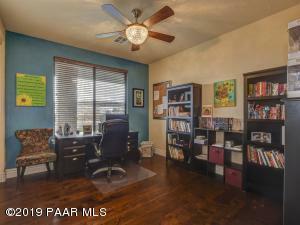 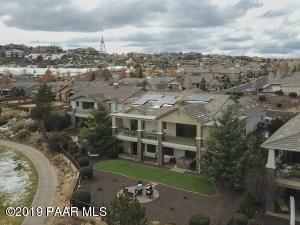 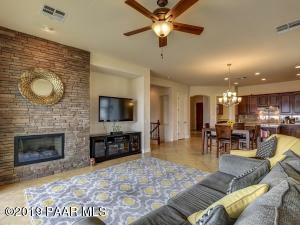 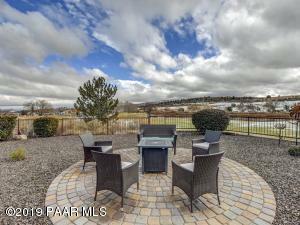 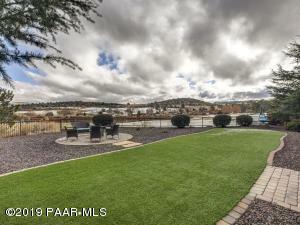 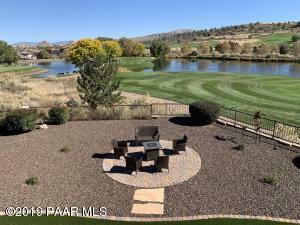 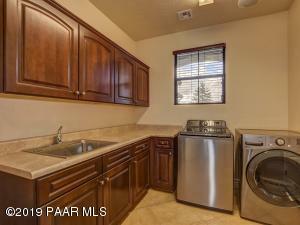 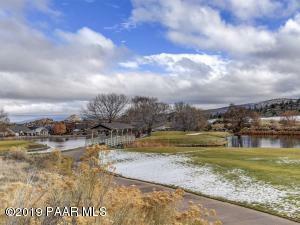 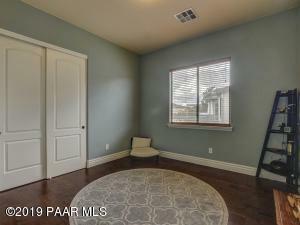 Prescott Lakes home w/ Lake, Mountain & Course Views! 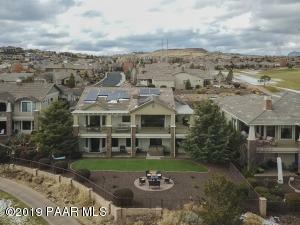 Paid for Solar System- save $$! 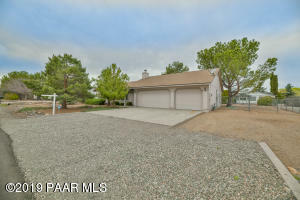 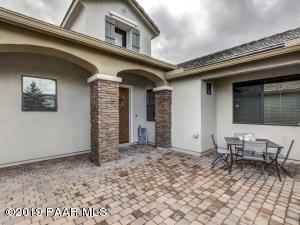 6 bedrooms, 3 baths, w/ true MAIN LEVEL living. 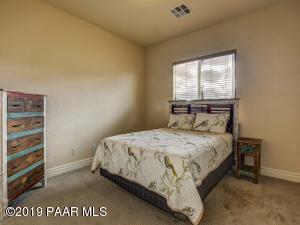 4 bedrooms on main level- including Master Bedroom w/ his/her closets, and remodeled Master Bathroom- you will love the walk in shower! 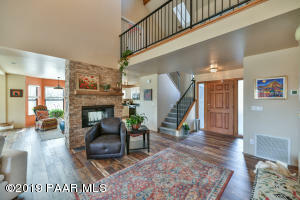 Split plan has 3 guest rooms and full guest bath on main level. 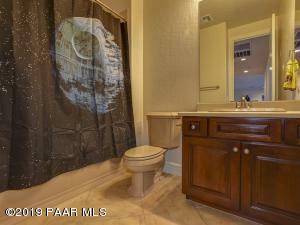 Perfect for kids, guests, or in-laws. 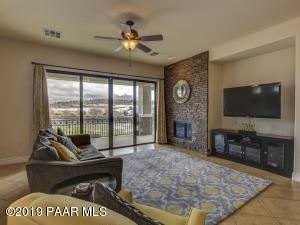 Wide open great room with spacious kitchen and dining area leading to living room with gas fire place, extended sliders to deck & THE VIEWS! 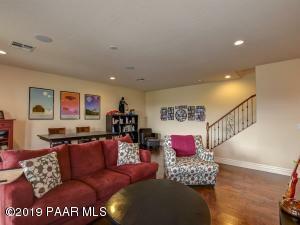 Lower level has family room, 2 more bedrooms/offices and a full bathroom. 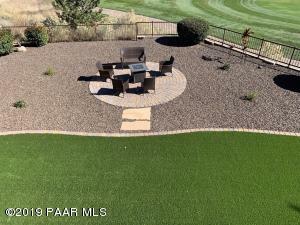 Upgraded back yard landscape, spa conveys. 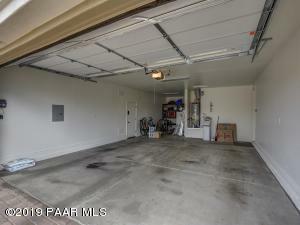 3 car garage ( 1 space is tandem) and separate 1 car garage. 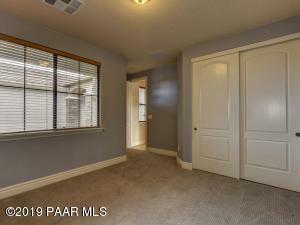 New exterior paint, 3 zone HVAC, humidifier, water softener- many upgrades, furniture avail. 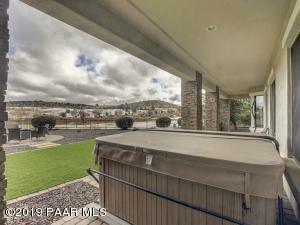 see lists. 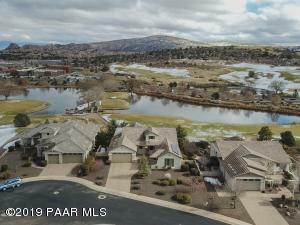 Prescott Lakes Parkway to Smoketree Lane, Right on Durban, Left on Constable, Right on Merion Ct. Home is on the right.